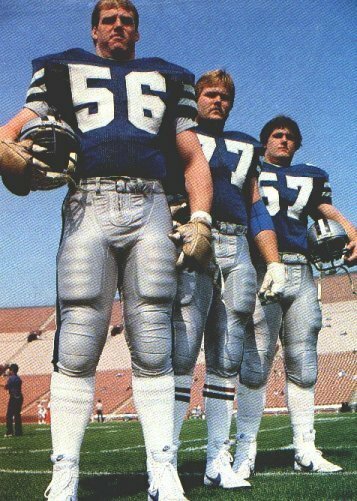 Gary Zimmerman was a 7-time NFL Pro Bowl offensive lineman, who played for the Minnesota Vikings and Denver Broncos from 1986 through 1997. After 13 pro football seasons, Zimmerman finally won a ring when the Broncos beat the Packers 31-24 in Super Bowl XXXII. 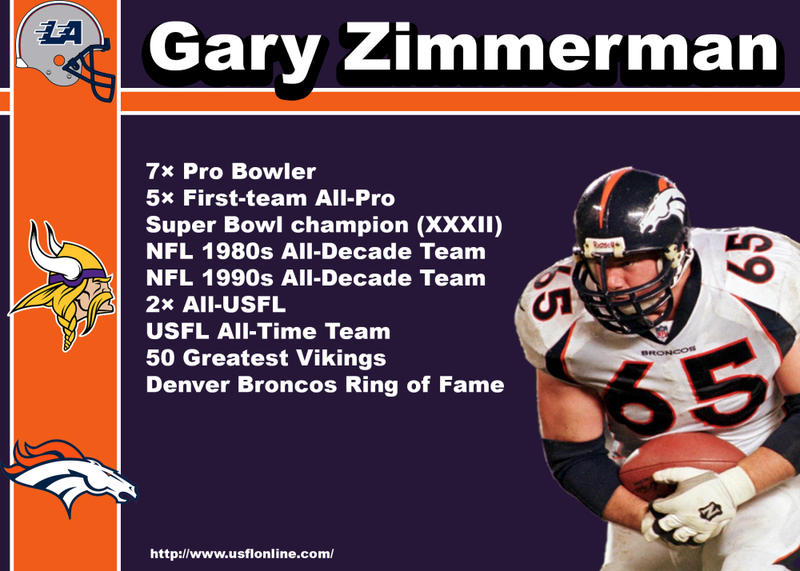 Zimmerman was drafted by the Los Angeles Express in 1984 and blocked for Steve Young for the next two seasons. 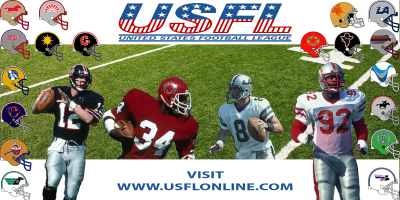 Zimmerman, WR Anthony Carter and DE Keith Millard were three former USFL players that helped turn the Vikings into a playoff team in the late-‘80s. Zimmerman was originally selected by the New York Giants in the '84 Supplemental Draft.